Visa and Mastercard gift cards with pin numbers are popular because you can use most of them to load GoBank at Walmart and buy money orders at certain stores. This page is a reference covering where you can buy these cards. Staples and Officemax carry $200 cards that come in either the old yellow packaging or the new purple packaging. Staples & Officemax/Office Depot have both Visa and Mastercard gift cards in fixed denominations up to $200. The Visa cards sold by both stores are issued by Metabank and the Mastercard gift cards are issued by U.S. Bank. Variable load Visa & Mastercard gift cards sold at Kroger. Both are issued by U.S. Bank. Most grocery stores will allow the purchase of Visa/Mastercard gift cards with credit cards. Grocery stores generally sell variable load cards which can be loaded up to $500 for a fee of $5.95. Alternatively, they sell $100 fixed value cards for $5.95. Availability and prices will vary by store and region. Cards issued by U.S. Bank, Metabank and Sunrise Bank have all been confirmed to work in the past. Costs: Generally $5.95 for a variable load card up to $500 and $5.95 for a $100 fixed value card. Verdict: Good easy way to meet minimum spend. Try to use a card with a category bonus and make sure to look out for coupons and fuel reward promotions. Walmart sells $500 variable load gift cards for a $4.94 fee. (Some stores carry cards with a slightly higher fee.) Most stores allow you to use a credit card, but you can generally only purchase one card per transaction. Costs: $4.94 per $500 card at most stores. Verdict: Can be convenient since you may already be at Walmart, but most cards will not earn a category bonus. Many drug stores have moved to cash only for Visa/Mastercard purchases. Depending on the region, Walgreens, RiteAid and CVS may sell gift cards with a credit card. CVS has a limit of $2,000 per day, but many stores have moved to a cash only policy. Verdict: Look for a card with a category bonus at drug stores or use to meet minimum spend on a new card. Some gas stations carry prepaid Visa/Mastercard gift cards as well. Like with grocery stores, availability will vary by region and brand. Many gas stations no longer allow the purchase of Visa/Mastercard gift cards with credit cards. Verdict: Once again look for category bonuses. A number of cards pay 2x or 3x at gas stations. Visa card issued by Simon Mall for $3.95 per $500. Simon Malls sell $500 Visa gift cards for a $3.95 fee. 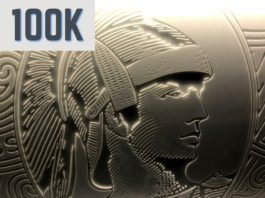 These gift cards are issued by Metabank and are pin-enabled, making liquidation fairly easy. Verdict: Best for meeting minimum spend since purchases at Simon Mall don’t earn a category bonus on any credit cards. Other retailers also sell Visa & Mastercard gift cards. Many of them don’t allow the use of credit cards, but some do. Sears or Kmart are good examples. In some stores they sell the same $200 Visa cards sold by Staples & Officemax. Gift Card Mall sells cards in a variety of designs, but they are expensive. Rubber ducky is my favorite! 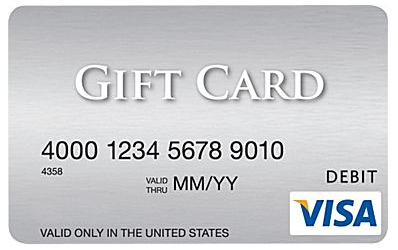 Giftcards.com and GiftCardMall sell $500 Visa gift cards online. Since shipping and purchase costs are high, this generally isn’t the most cost effective way to purchase cards, but sometimes they run promotions and also offer portal cashback. Cost: $6-8 per $500 without a promotion. Verdict: Not really good unless you want to put forth minimal effort to manufacture spend. Sometimes their promotions are very good though. Staples sells $300 Visa gift cards on their website for a $8.95 fee or $200 cards for a $6.95 fee. The cards are issued by Metabank and are pin-enabled. Cost: $200 card for $6.95 fee or $300 cards for $8.95 fee. Verdict: Use with 5x earning card such as the Chase Ink or Amex SimplyCash. Also look out for the occasional promotion where these cards are discounted. Pin-enabled Visa/Mastercard gift cards are still widely available to be purchased with credit cards. The key is finding the right store and the right category bonus to outstretch your value. Try to avoid Vanilla branded cards since they will not work at Walmart. Did I miss any gift card opportunities? Do you have any questions? Let me know in the comments. Next articleMMMT: Buyer Beware When Purchasing Sam’s Club Gift Cards Online! “Office Depot sells Vanilla branded gift cards.” is that still true? if so do they still allow CC for these purchases? That would be the most optimal way to earn 5x and cashout to redbird. I just doubt this still exists. Let me clarify. They sell both variable load Vanilla gift cards and fixed value Vanilla gift cards. Fixed value cards can be purchased with a credit card (Like Staples & OM), but they are still Vanilla branded and do not work with Bluebird/Serve as far as I know. Thanks for bringing it up. I added clarification to the post as well. I’m not sure what the merger will bring, but Staples has been decent with deals. I don’t think we will see many more of those fantastic Officemax instant rebate deals though. You can load Serve with a Vanilla GC at Family Dollar. I just did it yesterday. Vanillas load onto BB/Serve at WM. You just have to do under $50 loads. I’ve already unloaded almost 6K worth this way on KATE after the Easter weekend OD no-fee bonanza! as of 2 weeks ago when the $200 vanilla GCs rang up no fee at OM and OD, I bought some and were able to drain some of them to Serve via Kate at $49.99 each transaction. They won’t go through for more than that amount but for $49.99 and less, they still work. That was back in March so I can’t guarantee if it’s still working today. Really hard to tell how long it will last, but I think all of the “hobbyists” have probably loaded it to their cards, so if I had to guess I would say it will probably still be there. Of course, that is just a guess. Yes they can, but I have heard of a lot of problems with the process. There are better alternatives in my opinion. Family Dollar. I had initially left it out of the post, because many people have had issues with the process, but I decided to add the info. Thanks, Shawn! That is a very good round up of information for Pin enabled GC. Shawn, do the Visa GC bought at chain grocery stores qualify for the category bonus’ on Am Ex Blue or Everyday cards? In my experience they do. I have had success as Kroger and Safeway branded stores along with Albertson’s. They count just like normal purchases. I’m curious, Can I use the manufactured spending techniques to load up an Amex Serve card and then use that serve card to pay the mortgage’s on my rental homes? What is the best strategy to handle this? This would move about 4K into my spend category every month. Yes that should work. You can use the bill pay feature of Serve to pay just about any company. My question is, can I use the pin enabled giftcards to load to Serve online or do I have to go to a Walmart? I just applied for a Serve card and I do not physically have it as of yet. Unfortunately pin-enabled gift cards to do not work to load Serve online. They will ask you to verify the card is in your name and it just won’t work. They can only be loaded in-store. I have amex Everyday, Chase Freedom, chase Sapphire preffered and Americard. Which of these cards should I use to earn the most points when I purchase gift cards. Sorry I’m new to this, I may be asking a redudant question. Response is greatly appreciated. It really depends on where you are buying gift cards. The best strategy is to buy gift cards at a store that you get a category bonus in. For example, your Amex Everyday gets 2X at supermarkets, so they may be a good option with that card. Freedom also gets 5X this quarter at supermarkets. It takes a little work, but you want to match up the right card with the right category to make sure it is profitable. Any Visa Gift Card rebates/deals out there? The Office Depot $10 rebate on 2 x $50 VGC expired last week. Thanks. Not at this time unfortunately. Keep an eye on the site since I normally post about them.